The project consisted laying over 4 miles of new water supply line ranging in size from 24” to 30” DIP. The ductile iron pipe had a complex corrosion protection system that required joint bonds, anode ribbons, and the knowledge to properly install the cathodic protection system. 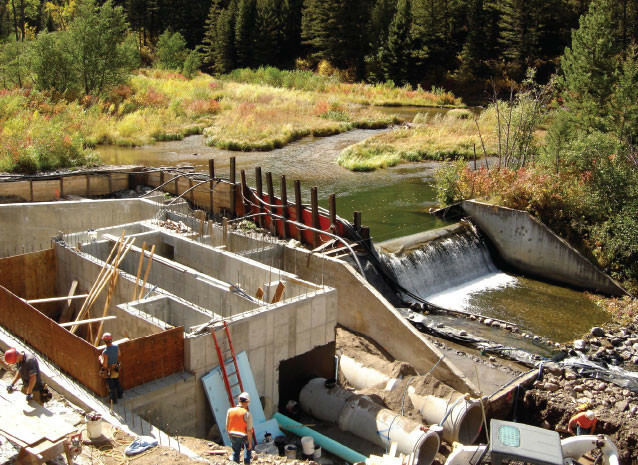 The project also consisted of constructing a new intake structure for the city water supply adjacent to Hyalite Creek. 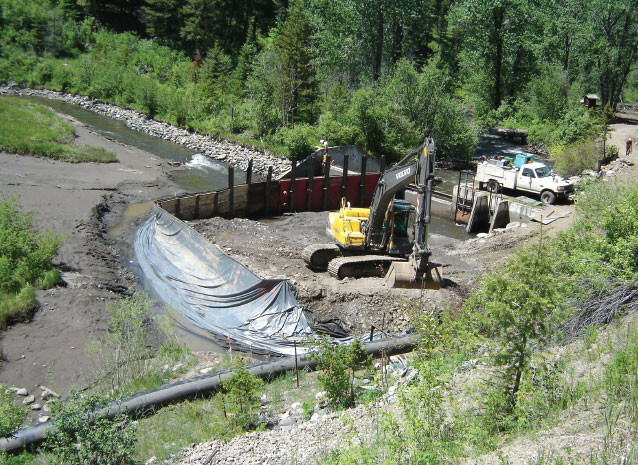 This required extensive dewatering and the installation of a temporary and professionally-designed cofferdam system. A mechanical pipe building was built on the lower end of the project for flow controls into the water treatment plant. 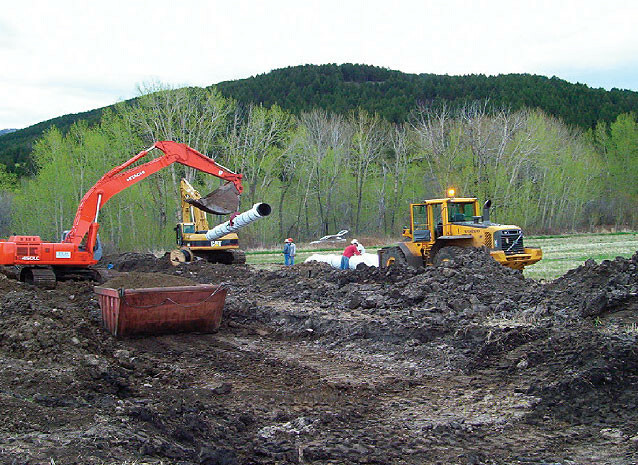 This was a high profile project that involves coordination between the National Forest Service, Gallatin County Road Department, landowners, and several major subcontractors.